00:37 is aimed at fitness enthusiasts. The app is essentially a timer to keep track of sets durations. Users are able to program the timer with the number of sets they want to do and save sets and times to track their training sessions as they see fit. The app is very minimalistic as the name implies. It doesn’t include exercise routines or eating habits recommendations like more popular options such as Runtastic. We dare to say this app is aimed at people who already have an established routine and needs improvement. The UI works swiftly, and in a non-intrusive fashion, it’s also one of the few apps that are still offered for free without restrictions. A lot of people have smart devices in their homes that work with preset navigation gestures. This app allows people to customize the gesture controls on most of them and it also includes the option to place them on devices that don’t have them. It’s not new tech since XDA’s Navigation has been offerings similar product for quite some time now. FNG, however, manages to be a much better app overall just by having the option to add gesture controls to devices that don’t have them. FNG is also a highly configurable app. The open code allows people with tech knowledge can to hide the ADB software navigation keys. The app on itself does not require a root to function properly. It runs very smoothly and the premium edition it’s very accessible at just $1.99. If you are a board game player, this app is just perfect for you. My Board Game Collection allows you to create an archive with all your board game collection. The app works alongside Board Game Geek to handle the database of all the available board games offered in the app store. You can manage your personal stats and sort out info like the play time dedicated to a single game, the age range of your opponents, the complexity of their gameplay, as well as the number of players that go against you or alongside you on a single game. You can also have manual access to your games if you prefer it, as well as cloud sync if you need it. This video chat app is primed to be one of the biggest hits in 2019 if it manages to score the attention of video call enthusiasts. PlayJ offers a lot of fun features that make each call an interactive experience where you go above communication by engaging on certain games, sharing media and use filters mid-call. It also helps that the app runs very smoothly on a two-way communication even with limited bandwidth. The app itself is loaded with great stuff for a very limited niche of users. 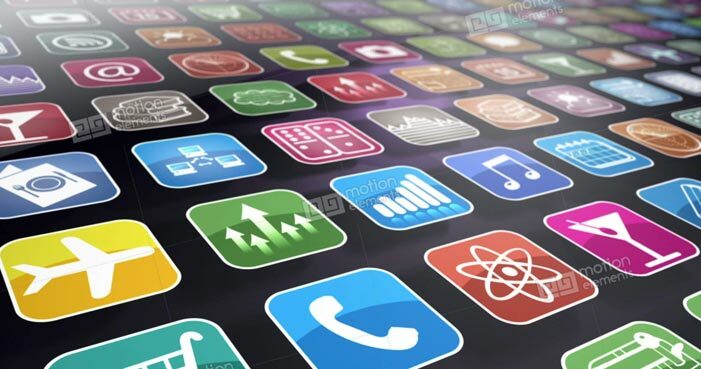 A lot of people can find all the add-ons a little overwhelming since most of them simply need these types of apps to state their business. Yahoo Play is Yahoo’s latest attempt at staying relevant for people who still remember the brand. The app manages to do many things, but it doesn’t have a concrete shape on what it is. So far it seems like a venue to get access to entertainment news related to pop culture events. You can find a corner to do things like quizzes, and in the same fashion as YouTube, you can have access to original video content. The lack of clear aim with this app makes it pretty hard to define, but there is a lot of potential as long as Yahoo figures out how to get rid of the clutter and makes it functional. The idea of a single venue to get all of our content it’s something that has been incredibly well done by Google these days, but it never hurts to have options.